Yong Pin Hao adhere to the traditional process since its foundation in 1999. Each batch of manufactured according to traditional way - pure sun-dried materials, manual stone press, bamboo packaging, bamboo split strapping, classic design. 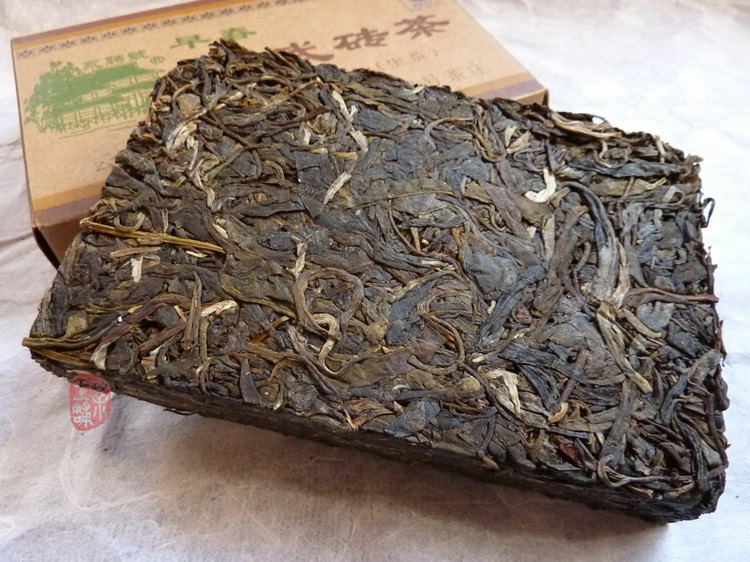 Very good example of soft and never bitter Yiwu taste! 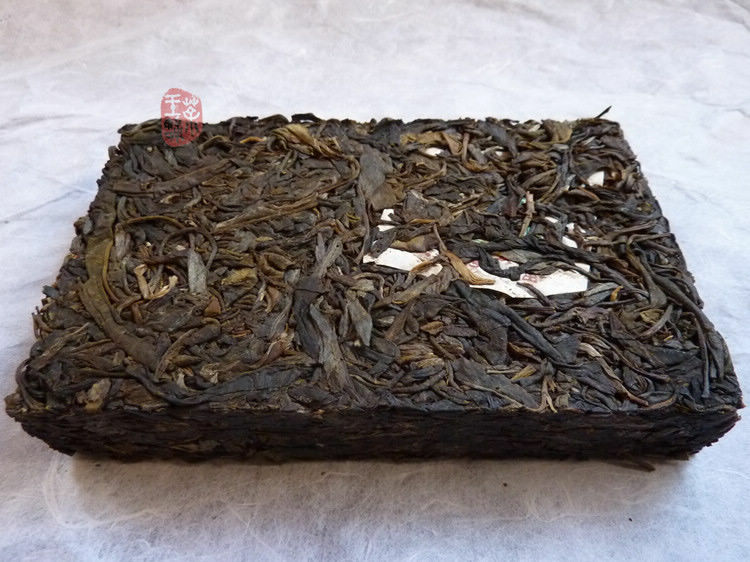 Sun-dried materials come from surroundings of Luo Shui Dong village Yiwu area. Age of tea trees about 50 years. Clean and good storage in Kunming. Brewed tea have deep yellow color and sweetly floral aroma. Mellow, sweet and pleasant round in mouth.